"Love All the Little Things in Life". With this slogan Jules Destrooper shows what this end of year period is all about. Enjoy the little things, but above all the good things in life. 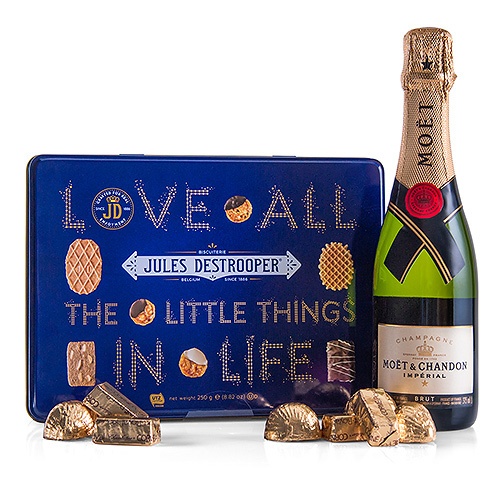 This set of Jules Destrooper biscuits, Moët & Chandon champagne and Corné Port-Royal chocolates is a wonderful gift spoil your entire entourage with during the festive season. 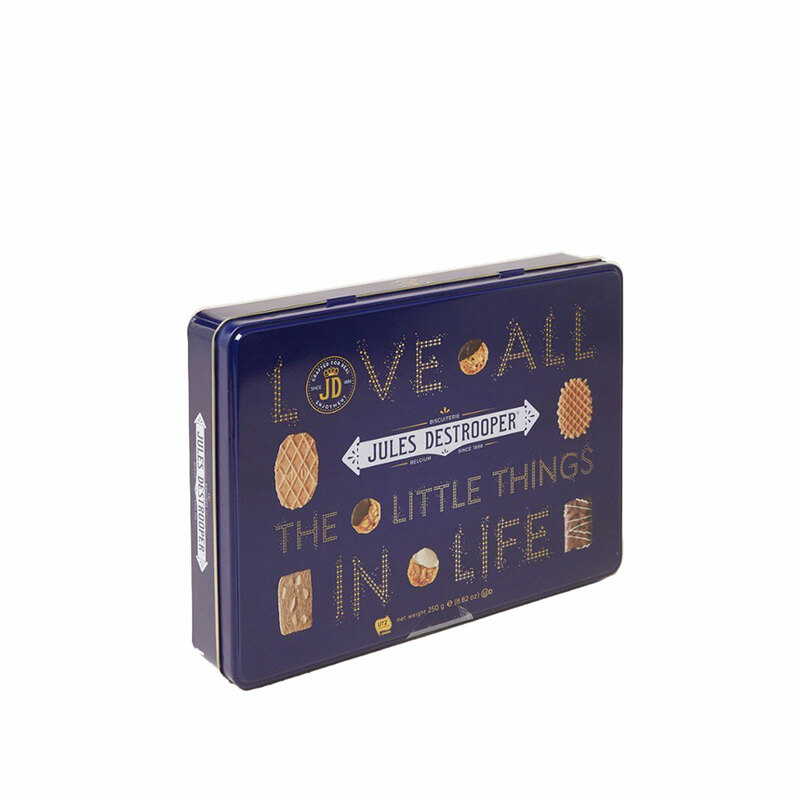 The tin box of Jules Destrooper offers a nice selection of natural butter waffles, Parisian waffles, almond florentines, Virtuoso cinnamon biscuits and almond bread. 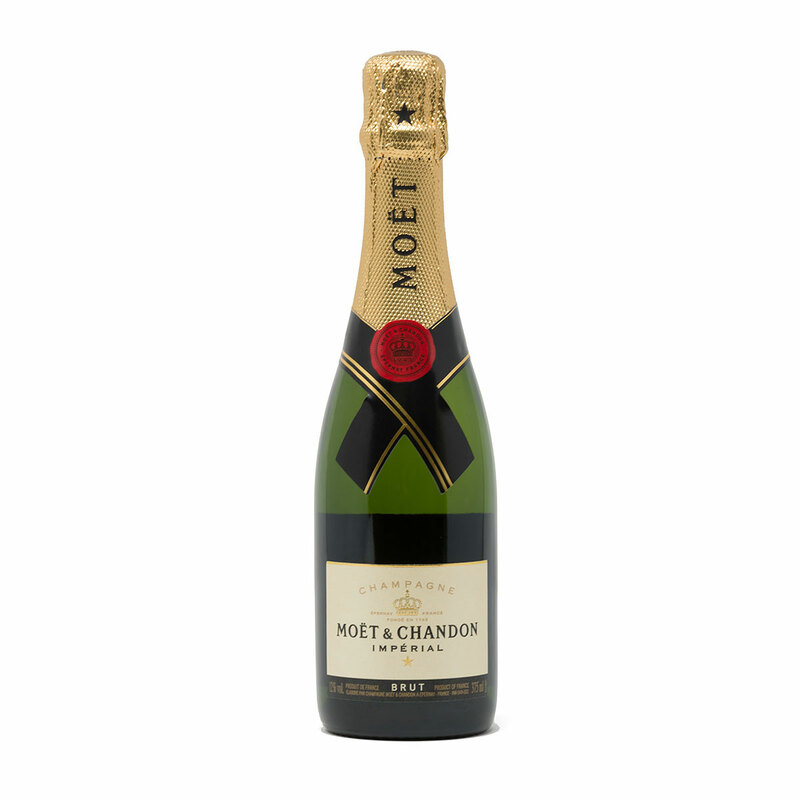 The iconic Moët & Chandon champagne in demi format (37.5 cl) is delicious to savor along with the artisan biscuits. The fresh fruity character of this champagne is a pleasure to drink and goes perfectly with these sweet treats. 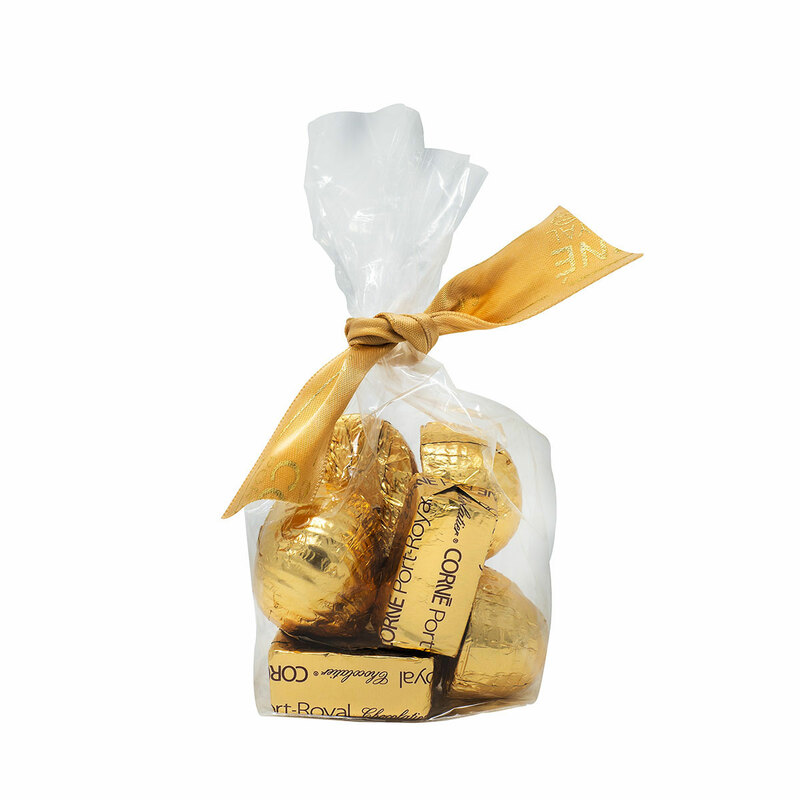 The icing on the cake is this Golden Chocolate Gift Bag from Corné Port-Royal: a bag filled with Corné Port-Royal soft chocolates in gold wrappers. Ingredients: Sugar, roasted hazelnuts, whole milk powder, cocoa mass, cocoa butter, roasted almonds, palm oil, rapeseed oil, sunflower oil, emulsifier: soy lecithin, natural flavours (vanilla, caramel).